Join us for a round table discussion and traditional English High Tea!! Anyone interested in the Transition movement and how ancient and modern spiritual wisdom can help solve global environmental problems and world poverty is welcome to attend. 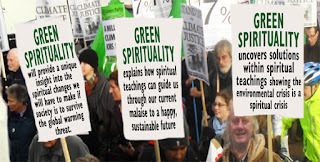 Chris Philpott, author of Green Spiritualty, has been a Green Activist for more than twenty-eight years. He has campaigned in the UK on local and national green issues such as recycling and climate change, and has been involved in organizing community activities relating to whole food, recycling, gardening and conservation, local economic trading (LETS), meditation, Transition Towns, interfaith and green spirituality groups. Chris comes from a Christian and Buddhist background, and was affected deeply by the surge of interest in spirituality during the 1970s. He is also an experienced and enthusiastic performer, his skills including public speaking and clowning, as well as writing and performing Eco music with a band appropriately named The Eco Worriers. 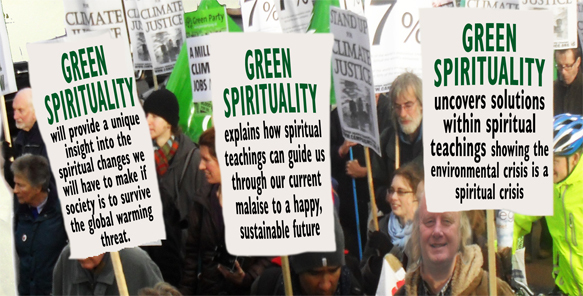 For more information about Green Spirituality and Chris Philpott, please visit www.greenspirituality.org. Chris Philpott will be entertaining people with songs about green spirituality and environmental activism at the Green Tent, Mar Vista Farmers Market.